If you require further evidence of the benefits of StopNoise secondary glazing, then you’ve come to the right place. We have numerous resources which prove this theory which we are more than happy to present to you if you require them. 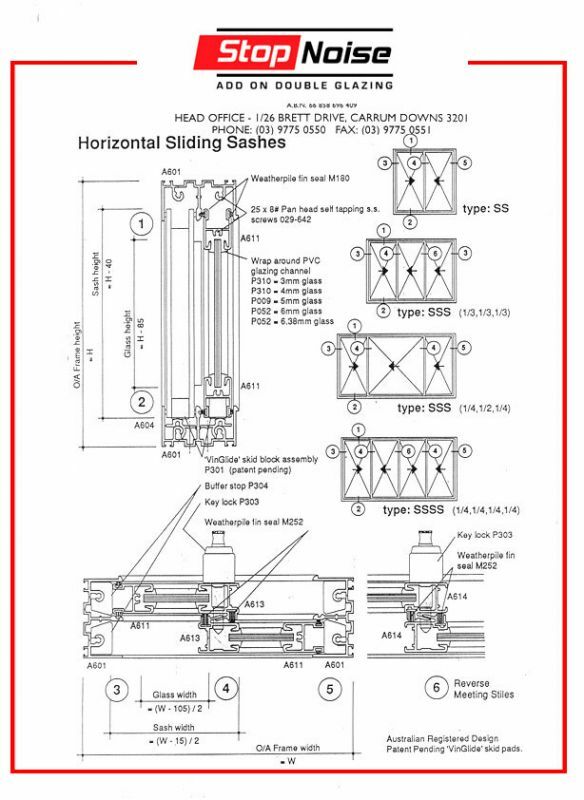 Technical drawing of Horizontal Sliding Sashes utilising the StopNoise product. 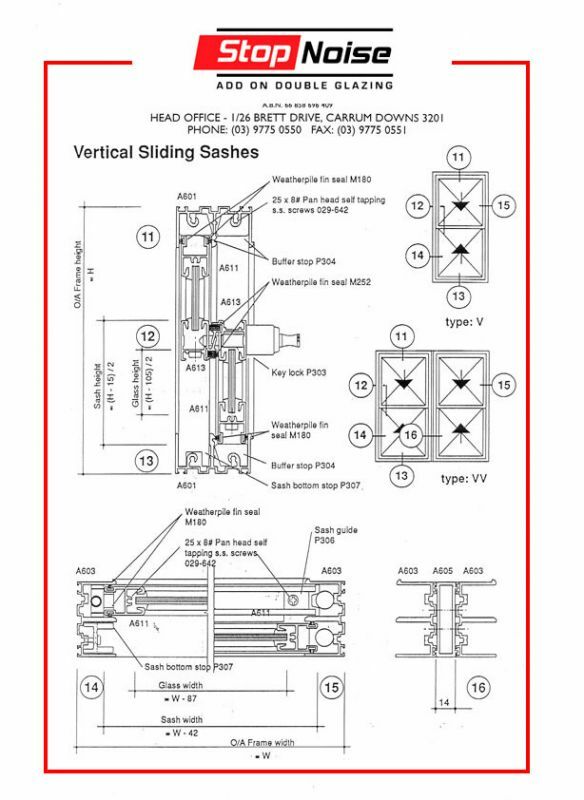 Technical drawing of Vertical Sliding Sashes utilising the StopNoise product. Decibel Scale of Sound level to determine relative sounds to approximate decibel levels. 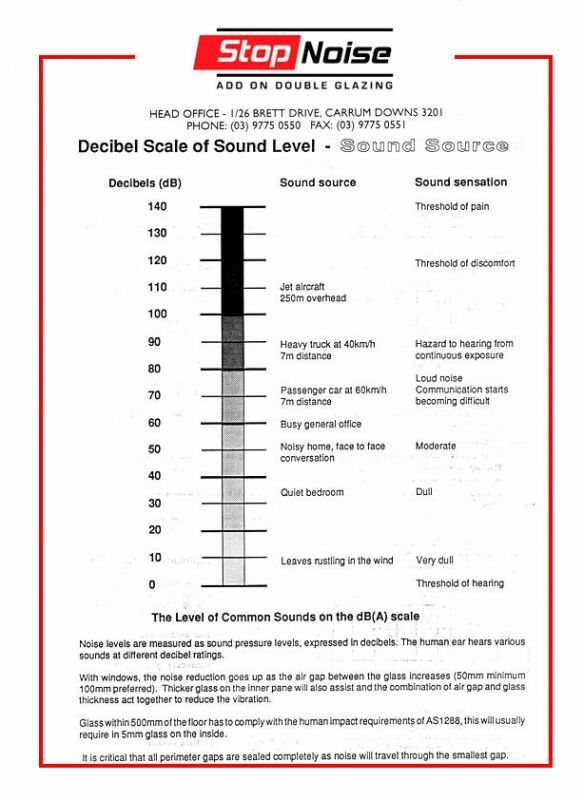 As illustrated in the graph below, which is based on glazed windows, if you can reduce the sound level entering a room by 10dB it equates to approximately halving the perceived noise level and thus doubling the comfort. For more information, be it technical data or product advice, please don’t hesitate to contact us.